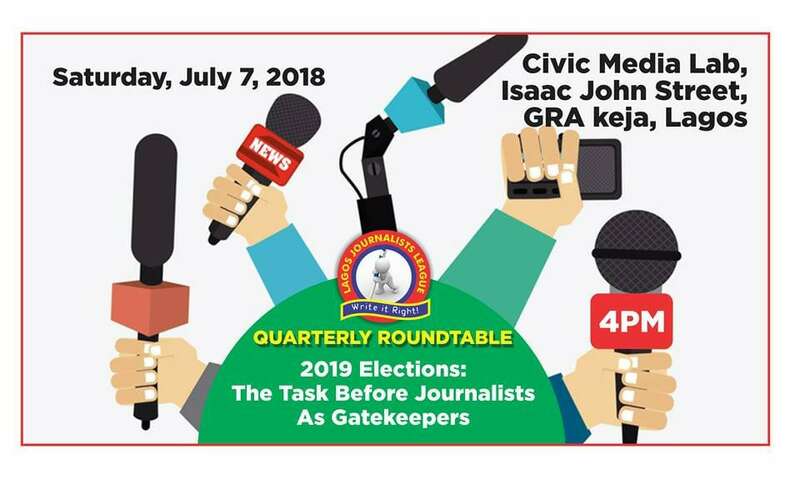 As part of her contribution towards national development, the Lagos Journalists League would on Saturday 7th of July meet to discuss the 2019 general elections. The guest speaker at the round table meeting is Award winning and CNN Journalist, Deji Bademosi. The former Channels Television staff and now CEO OF TV 360 MEDIA would be talking on the theme, 2019 Elections: The task ahead of Journalists as gatekeepers. At the end of the meeting, the league will be making it’s submissions known to Independent National Electoral Commission (INEC), Government at all levels, Politicians and the general public.